Hernia mesh is a net-like device implanted to repair hernias and minimize the risk of hernia recurrence. Despite their proven efficacy and wide-spread use, hernia mesh has been linked to some serious complications and injuries, such as device migration and bowel perforation. Seeking compensation for their medical bills, suffering and losses. An experienced lawyer at the Amaro Law Firm is ready to explain your options for financial recovery and justice if you or a loved one has been harmed by hernia mesh. Diligent and tenacious, we will provide you with exceptional representation, personal service and compassionate support as we strive to bring your hernia mesh case to a successful resolution. Have You or a Loved One Been Hurt by Hernia Mesh? During your FREE consultation, we will review your potential claim and explain your legal options. We provide free virtual and mobile consultations to those who cannot visit our offices, and we represent clients from across the U.S. in hernia mesh cases. Mesh sheets that can be customized for certain types of hernias or patients. Common complications associated with hernia mesh implants include (but are not limited to) bleeding, fluid buildup at the surgical site and scar tissue buildup around the device. The growing number of hernia mesh injuries led the U.S. Food and Drug Administration (FDA) to issue an updated Safety Communication regarding these devices in 2014.1 At that time, the FDA explained that it “has received reports of complications associated with the mesh” and that it was “continuing to analyze and evaluate incoming reports” so the public can continue to make informed decisions regarding hernia treatment. The 2007 recall of Bard Davol hernia mesh (due to the risk of device failure). In some cases, hernia mesh recalls were Class I recalls, the most serious level of recall issued. Class I recalls indicate that a device (or drug) can cause fatal injuries. Thousands of hernia mesh lawsuits have been filed against the makers of these products. These claims generally allege manufacturer negligence in failing to test the safety of these devices and failing to warn the public about their serious risks. Some of these lawsuits have already seen successful outcomes. 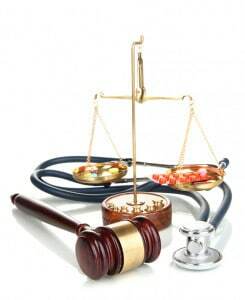 In fact, more than 2,600 hernia mesh lawsuits were resolved in 2011 when C.R. Bard agreed to pay plaintiffs a $184 million settlement. While newly filed hernia mesh lawsuits can join the MDL, they can also proceed as individual claims (outside of the MDL). The specifics of the case, as well as an individual’s needs and goals, will determine the best option for a given plaintiff and case. A lawyer at the Amaro Law Firm can explain your best options for a hernia mesh claim after discussing your circumstances. A defective medical device lawyer at the Amaro Law Firm can get you on the path to recovery and justice if you or a loved one has been seriously injured by hernia mesh. Known for providing the highest quality legal service, our lawyers will help you navigate the road ahead, working relentlessly to maximize your financial recovery. While compensation can never change a permanent injury or losses, it can be critical to gaining a sense of justice, healing and restoring lives. The Amaro Law Firm’s experience and success in dangerous device (and other personal injury) claims has earned us glowing testimonials from former clients, as well as 5-star ratings on Google and Facebook.